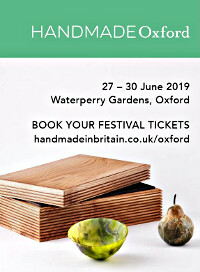 As well as meeting and buying directly from 90 British designer makers at Made by Hand in surroundings of The Town Hall in Cheltenham, there is a full program of workshops for adults and children and demonstrations of craft skills. Over thirty artists open their studios to the public. Painting, Sculpture, Print, Jewellery, Illustration and much more on show. Many artists will be working in their studios. View the art in the places it's made and buy free from gallery commissions. Refreshments will be available throughout the whole event. Made by Hand has established itself as the most significant applied art event in Wales. It gives visitors the opportunity to see and buy some of the best work being created today. The event gives people the chance to talk to makers directly as well as attend talks, demonstrations and workshops. Walford Mill Crafts: "By the Sea"
Walford Mill Crafts offers meaningful, inclusive access to excellent contemporary craft, creating deeper understanding and engagement at local, regional, national and international levels, whilst sharing enjoyment, interaction and involvement in craft with diverse audiences. 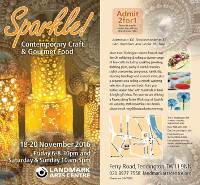 Highlighting the inherent value of craft to society, they provide a welcoming and dynamic creative venue and stimulating engagement programme encouraging people to experience amazing craft, meet skilled makers and enhance their own lives. They are a National Portfolio Organisation of Arts Council England and as such are one of only three flagship venues for contemporary craft in the South West. 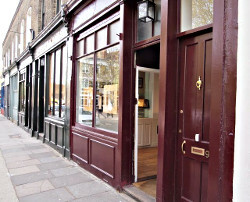 Alex Yule Jewellery will be back at Simon Rees shop 'Number Ninety Four' on Columbia Road in East London during the month of May 2017. 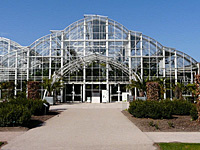 This event, will be held within the beautiful surroundings of RHS Garden Wisley so visitors will be able to view and purchase contemporary craft and art from around 160 exhibitors whilst also enjoying the beautiful spring garden. 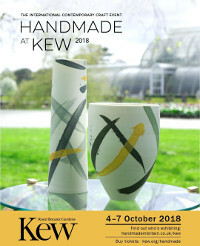 In addition visitors will be able to discover a diverse range of sculptures, garden art and outdoor exhibits as they wander around the world renowned garden and up towards the state-of-the-art glasshouse where there will be work for sale by some of the UK's finest contemporary silversmiths. Sparkling Christmas @ Number94, including Alex Yule Jewellery at 'Number 94' Columbia Road in December (Open Wednesdays, Saturdays and Sundays). 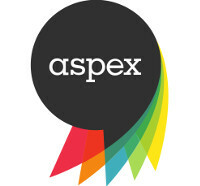 Thier annual Christmas selling exhibition showcases over 50 designer-makers from across the UK. In a variety of disciplines and with a range of prices to suit everyone, its an excellent opportunity to buy an individual piece of craft this Christmas. Located in the Royal Exchange Great Hall, next to Bar Exchange, The Craft Shop offers an inspired alternative to the high street and is the perfect place to treat yourself to an original piece of jewellery or discover unique gifts. They also stock stylish ceramics and glassware, sculptural woodwork, luxurious textiles, metalwork and pictures, as well as a wide range of greetings cards and stationery. 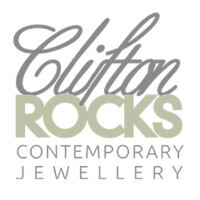 Clifton Rocks features a constantly changing collection of local and national contemporary jewellers. Vote now in the 2016 Craft and Design Selected Awards - there are 6 Gold and 12 Silver Awards to be won - and there's a £1000 cheque for the winner of the top award! Your votes could make all the difference to your favourite maker! These highly regarded national awards are decided by an online public vote for British and Irish designer makers with work represented in ‘Selected’, craft&design's prestigious online gallery at www.craftmaker.co.uk. The public vote determines six finalists in each of six categories. Specialist invited judges, together with the craft&design panel, subsequently assess the work of the finalists to establish one Gold Award Winner, two Silver Award Winners and three Finalists in each category, with just one person being awarded the top accolade of craft&design Maker of the Year. The public online vote is open to everyone until 31 March 2016. 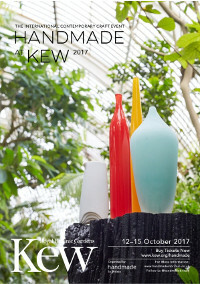 In addition visitors will be able to discover a diverse range of sculptures, garden art and outdoor exhibits as they wander around the world renowned garden and up towards the state-of-the-art glasshouse where there will be a work for sale by some of the UK's finest contemporary silversmiths.